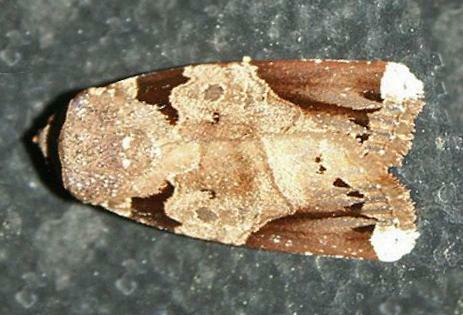 The adult moth of this species is pale brown with two dark patches on the costa. and a white patch at the tip of each forewing. 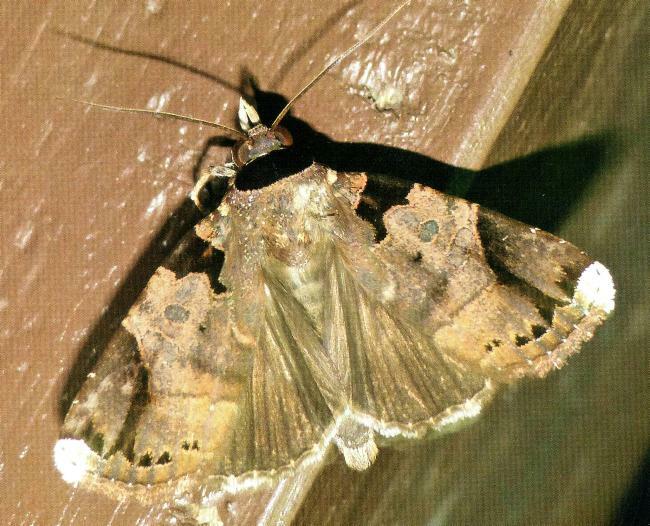 The hindwings are plain brown. The wingspan is about 4 cms. Volume 27 (1903), pp. 35-36.